To all the amazing women: Happy International Women's Day! 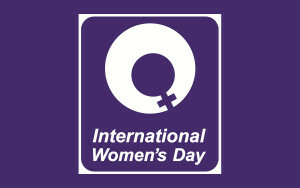 To all the amazing women: Happy International Women’s Day! Let me just state that from the beginning. I am in awe of so many women in my life. Women I love, Women I work with, Women I studied with… Women who are changing the world. I have the privilege of working with some of the most amazing and talented women in Australia. When I first started Ultimate Youth Worker a colleague “S” provided me with encouragement and a renewed passion to see youth workers succeed. “S” was in an extremely high paced environment and was going through a difficult time as her contract was coming to an end. She faced it with amazing resolve applied to do a Masters degree and became a full time student. She works in resi care and even though the system is so incredibly broken she supports her clients with care, love and compassion. About the same time another colleague “A” took me under her wing and took it upon herself to shower me with praise and encouragement. A Human Resources wizz who saw the potential of Ultimate Youth Worker as a business and me as the Director. This woman helped me deliver training, supported me at conferences and let me ramble on about the vision I had for a well supported youth sector. Over endless coffees “A” provided a sounding board and links to networks which helped solidify those early days of Ultimate Youth Worker. At Eastern College Australia I work with so many amazing, dedicated and qualified women. Teachers, community developers, artists, counsellors and theologians. Women who support me to do my job with admin skills I could only dream of. Women who encourage my work, professional and personal development. Women with vision to see higher education done differently in Australia. Women who are academically excellent and personally filled with faith. Women who breathe life into the lives of students and colleagues every day. I have studied with so many amazing women. Youth workers and social workers. Women of conviction and vision. Women that study hard and get the grades so that they can provide the best service to their clients. Women who are professional and practice their skills with wisdom and compassion. Women beginning to change the world. There are also the women I love. My daughters. Young women who give me a run for my money every day. Young women who debate me, teach me and love me back. Young women who see a future of opportunities, who strive to be better every day, who are sporty and academic and compassionate and great cooks and outdoorsy and amazing. Young women who would take on any man and win again and again. Young women who do not suffer fools and who expect the best from those around them. My Wife. A woman who is by my side through thick and think. Who stands against those who attempt to tear me down and who leads my cheerleaders when I succeed. A woman who is highly qualified and exceptional at her job. Who loves her family above all. A woman of noble character who opens her arms to the poor and extends her hands to the needy. A woman of strength, wisdom and blessing. Posted in Motivation and tagged colleagues, Women.